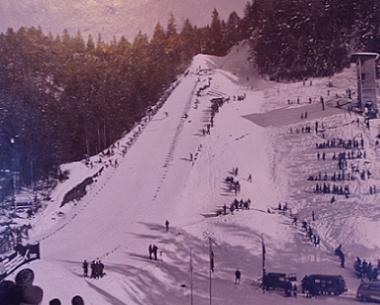 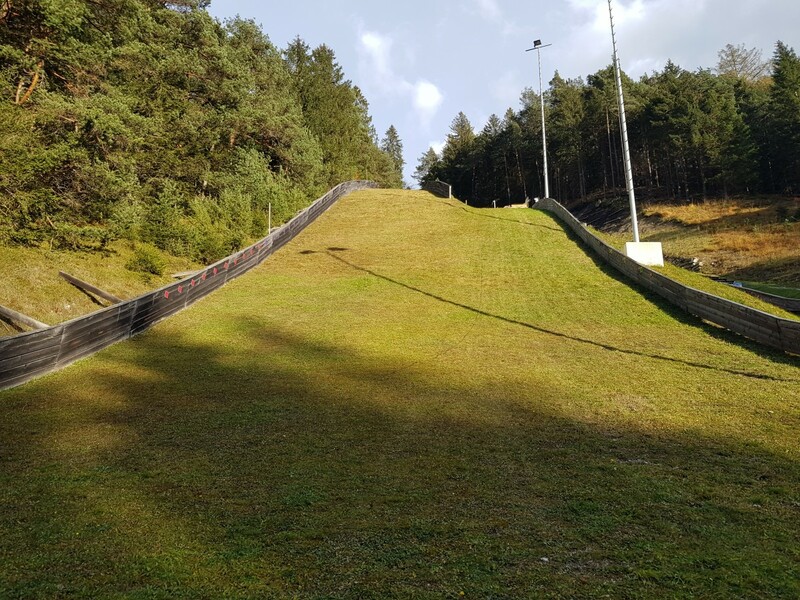 The Ing.-Arnold-Schanze K70 at Absam near Innsbruck was built up in 1967 for the Winter Universiade at Innsbruck which took place one year later. 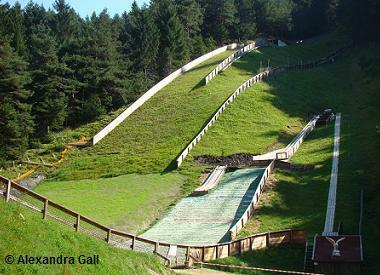 The hill record on this jump was at 72.5 m of Alfred Pungg. 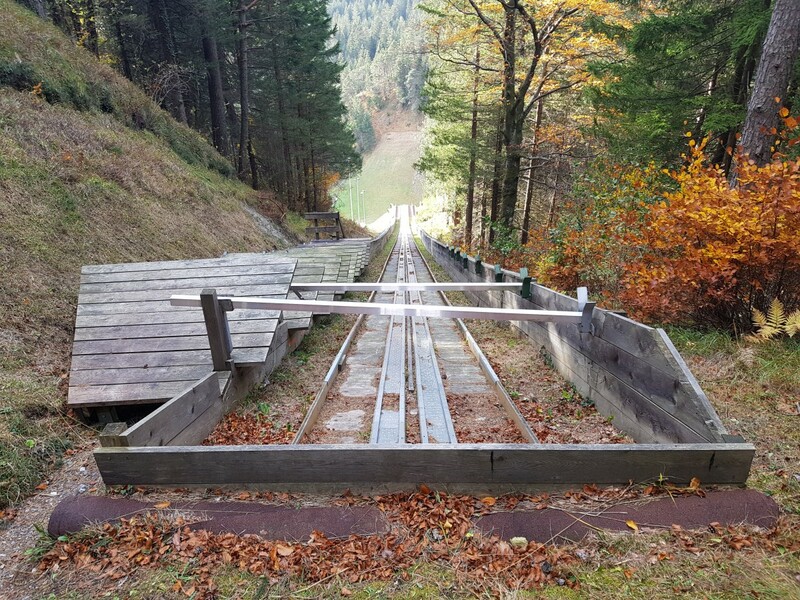 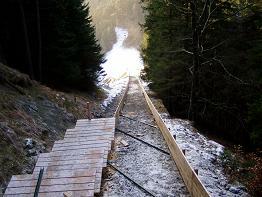 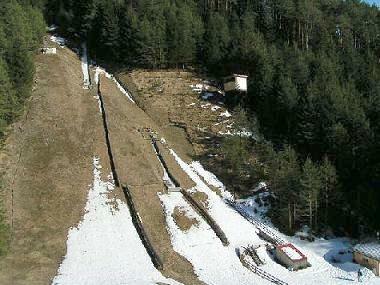 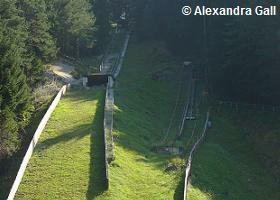 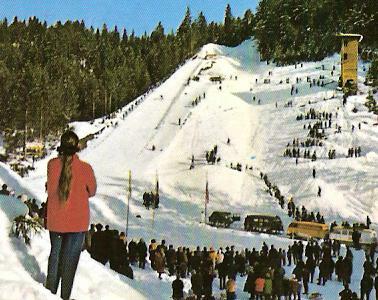 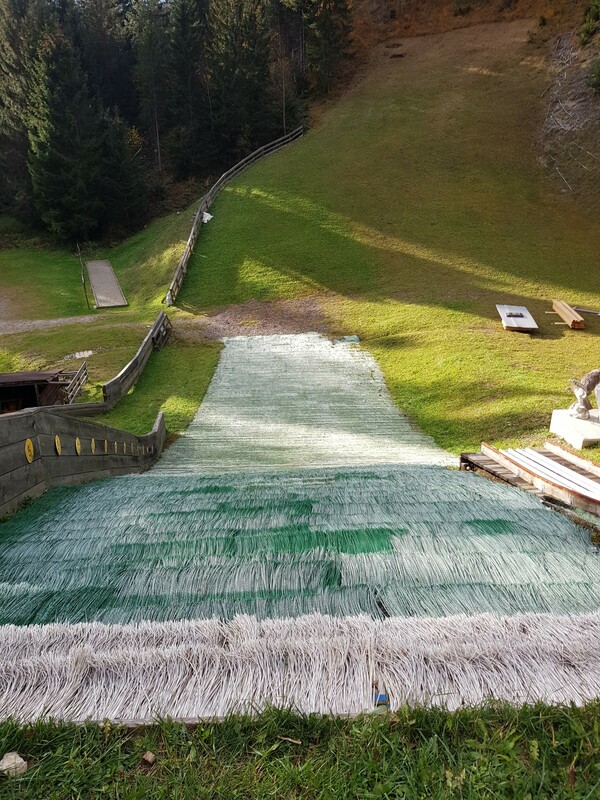 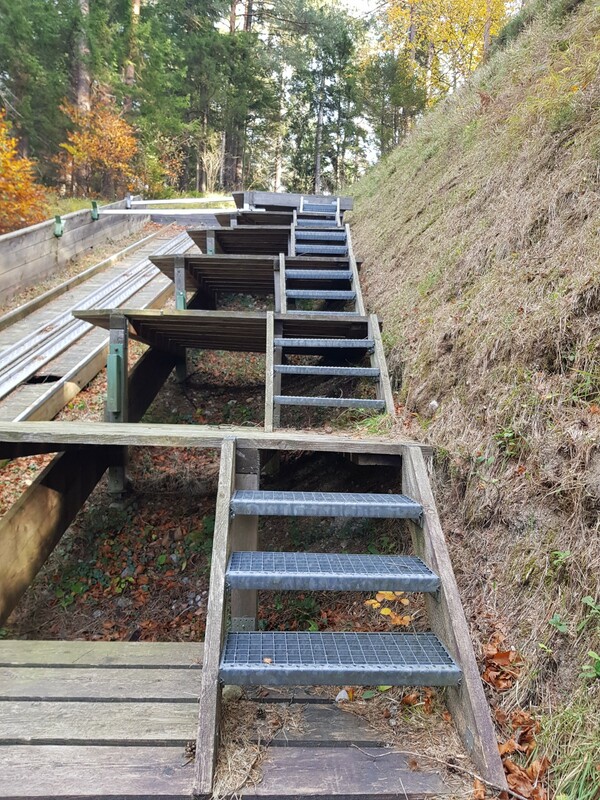 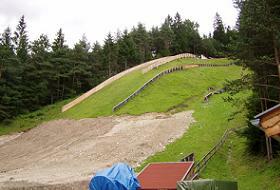 At the same time beside it Bettelwurfschanze was constructed and in 1970 a smaller children’s ski jump followed. 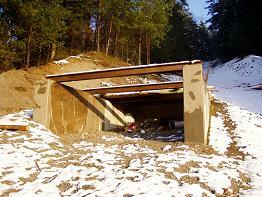 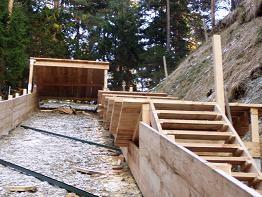 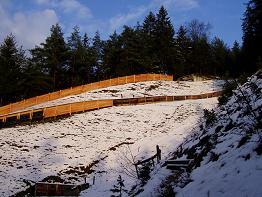 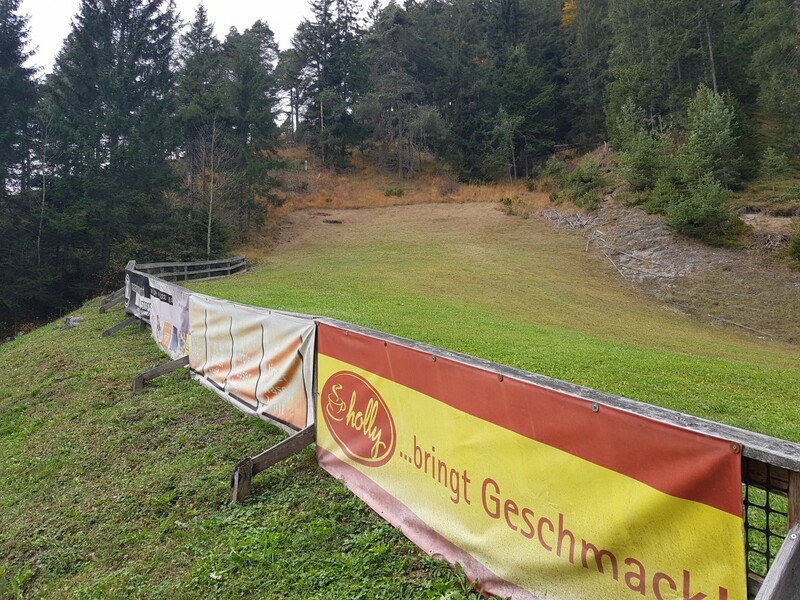 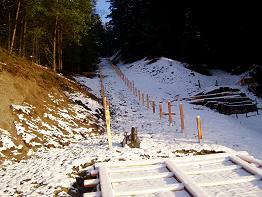 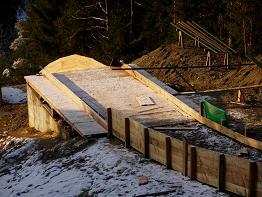 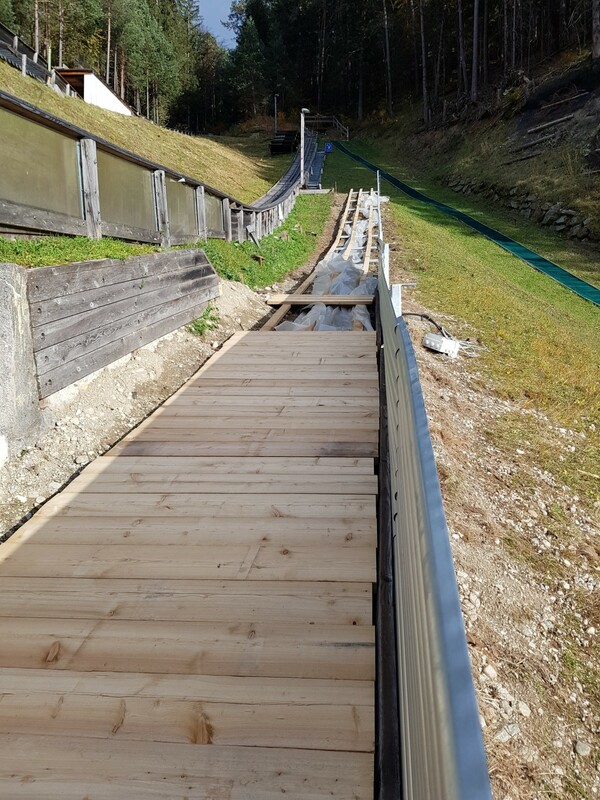 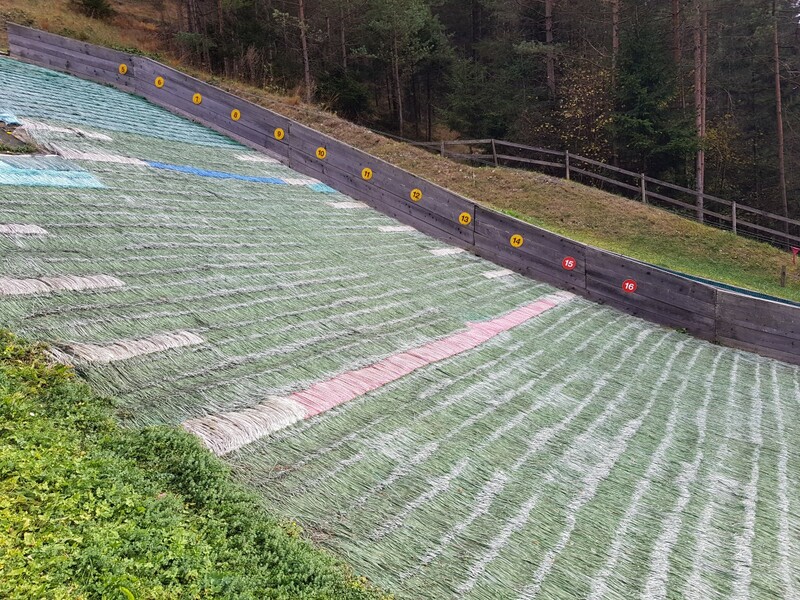 In 2000 the whole ski jumping facility was renovated and two years later additionally the K30 hill was constructed. 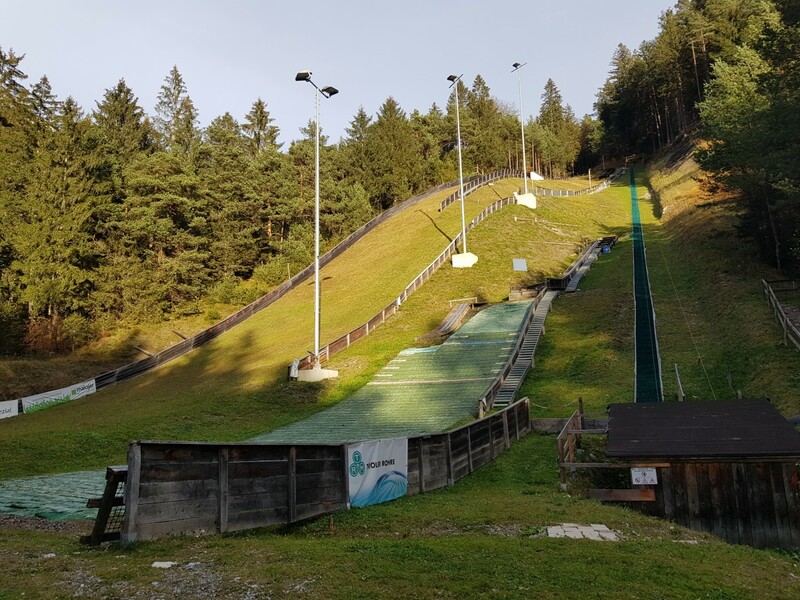 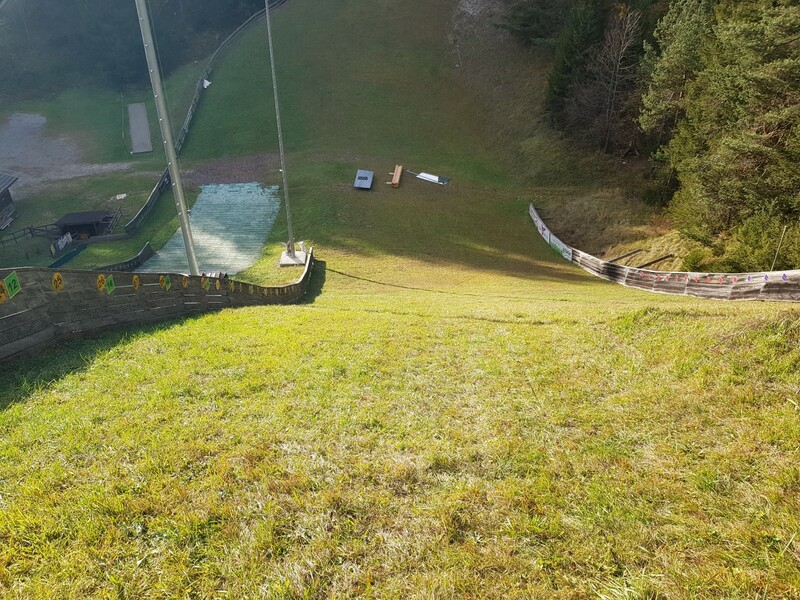 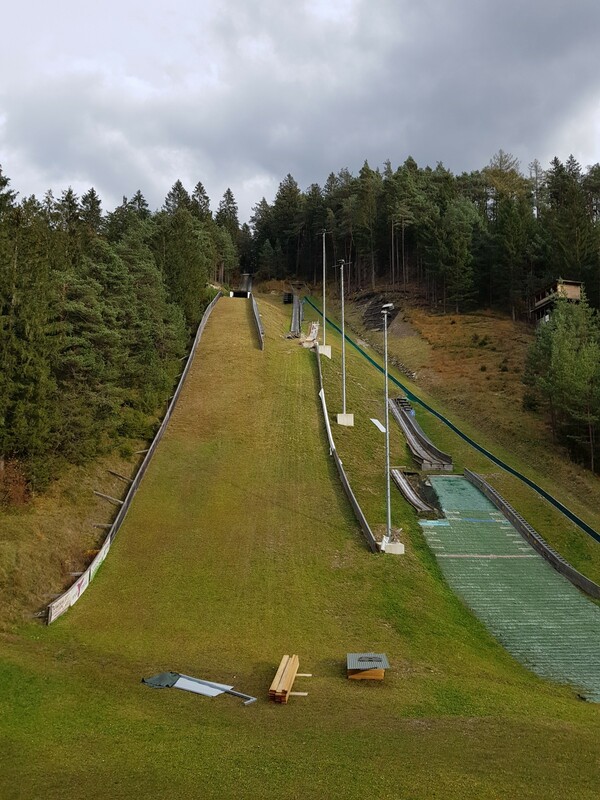 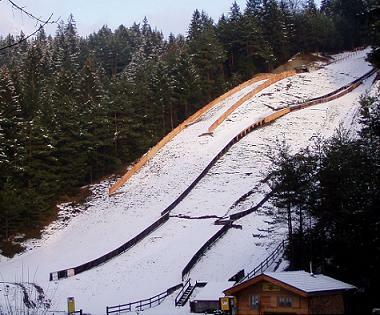 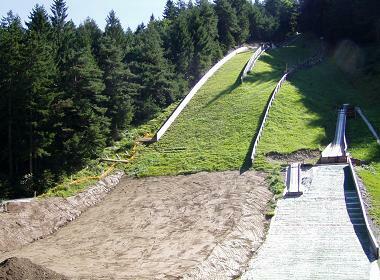 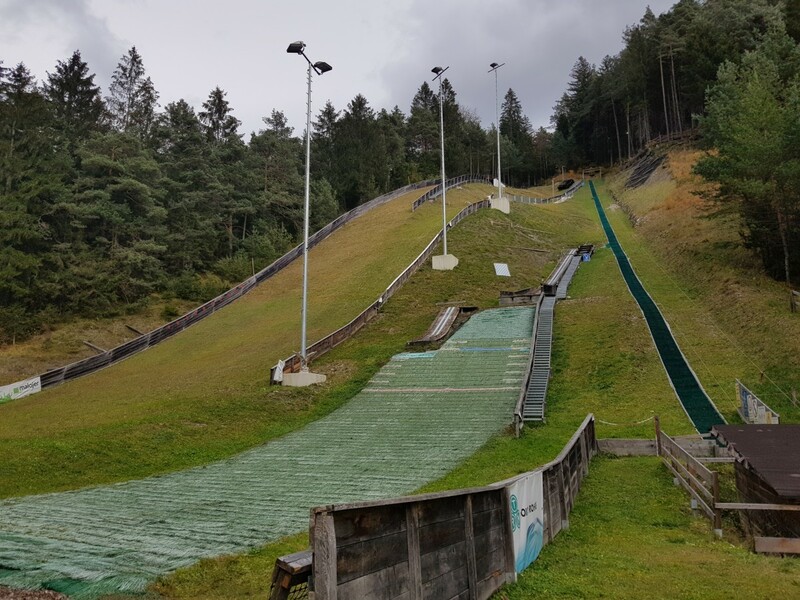 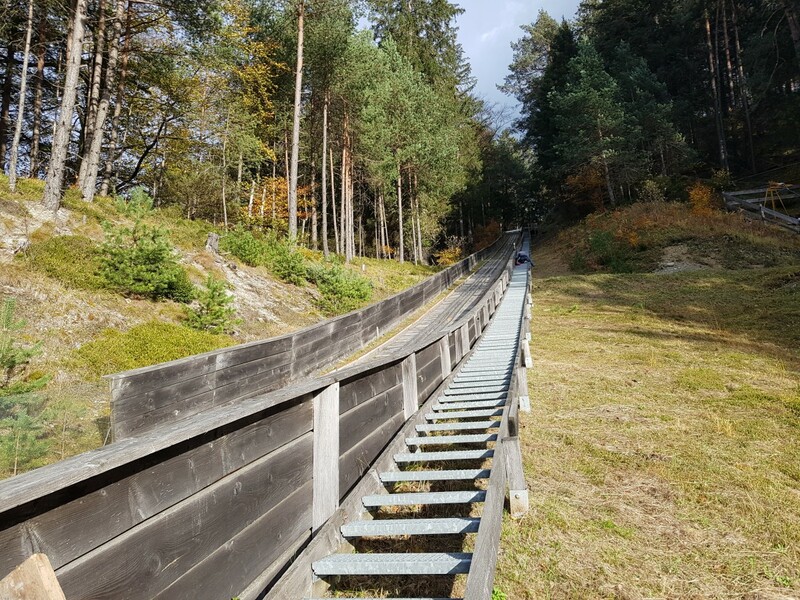 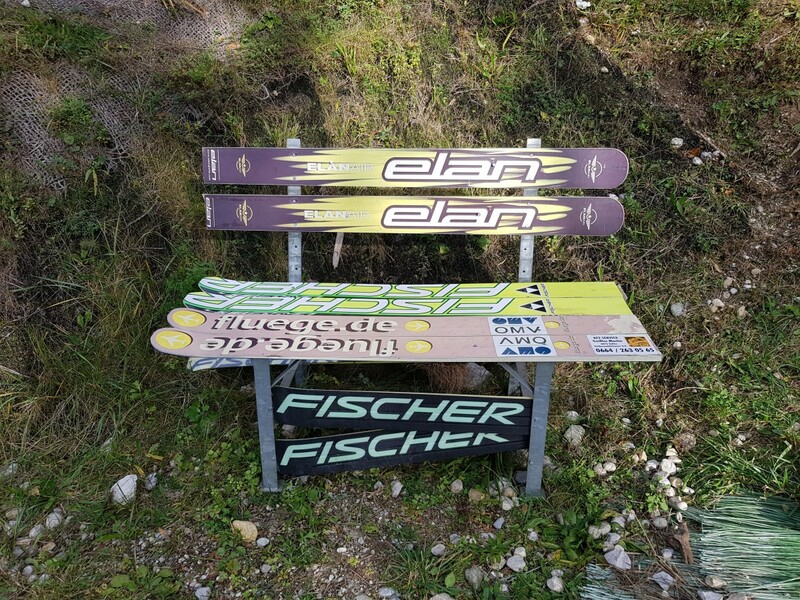 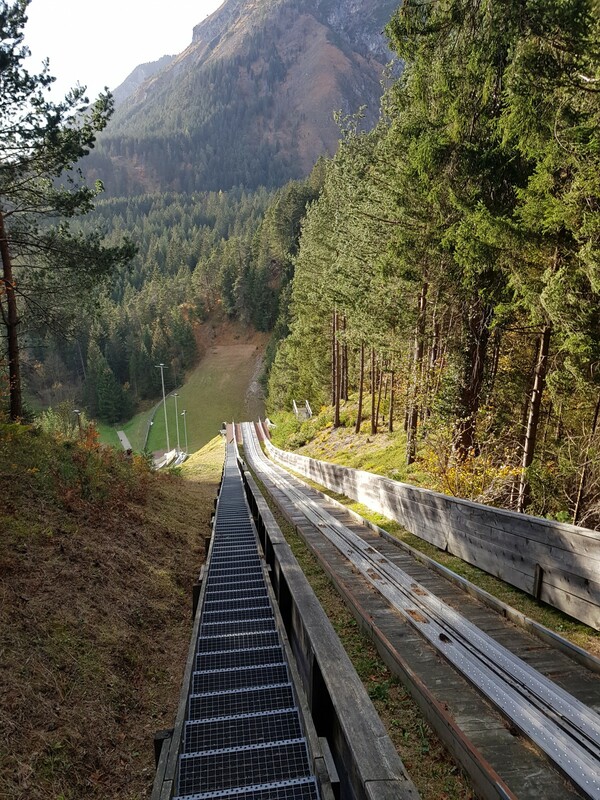 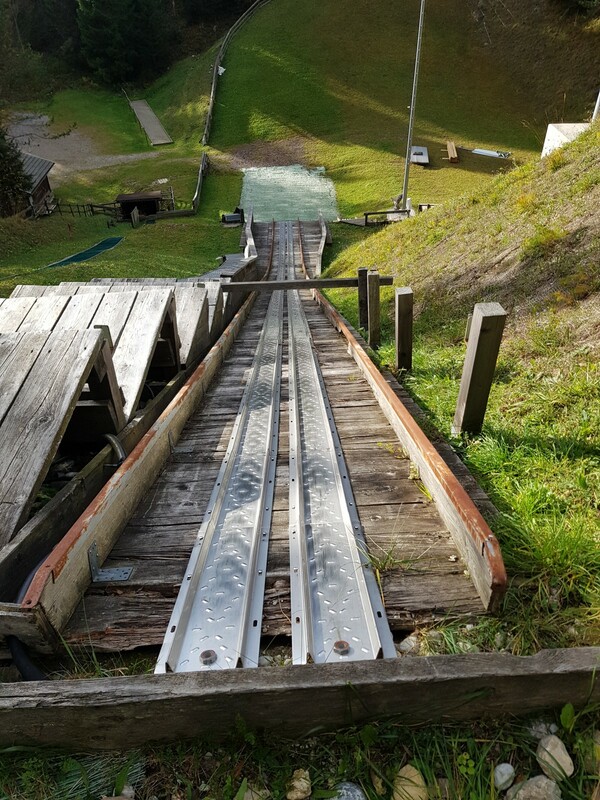 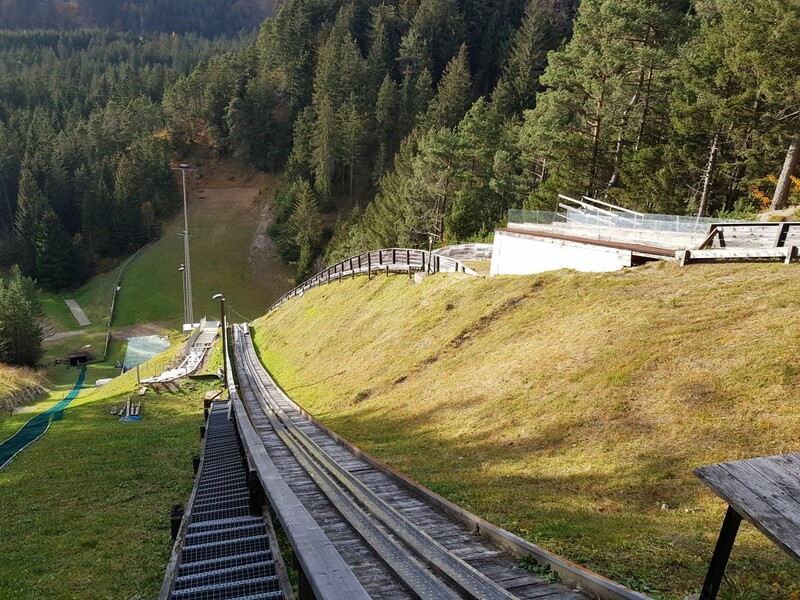 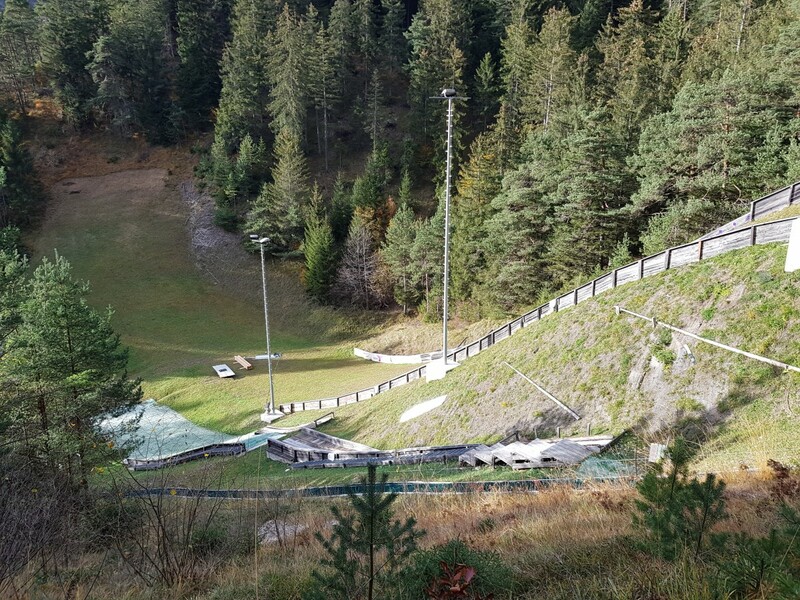 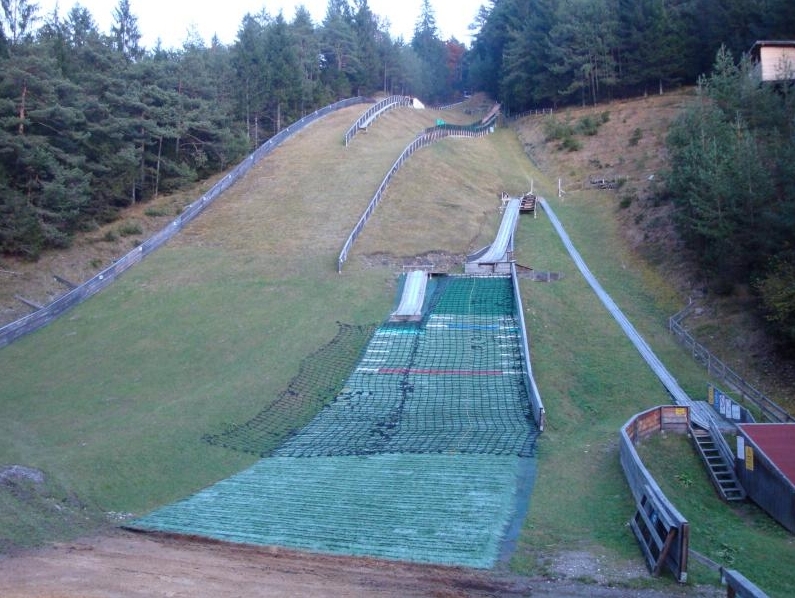 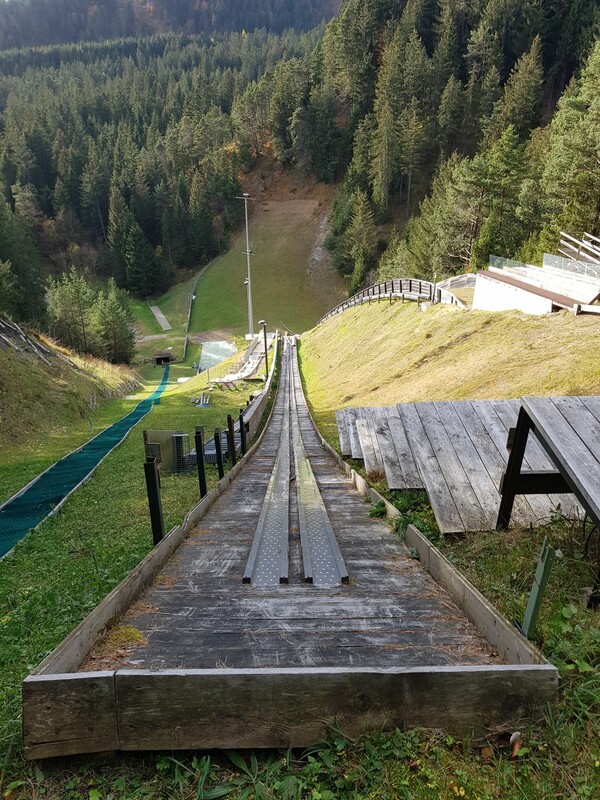 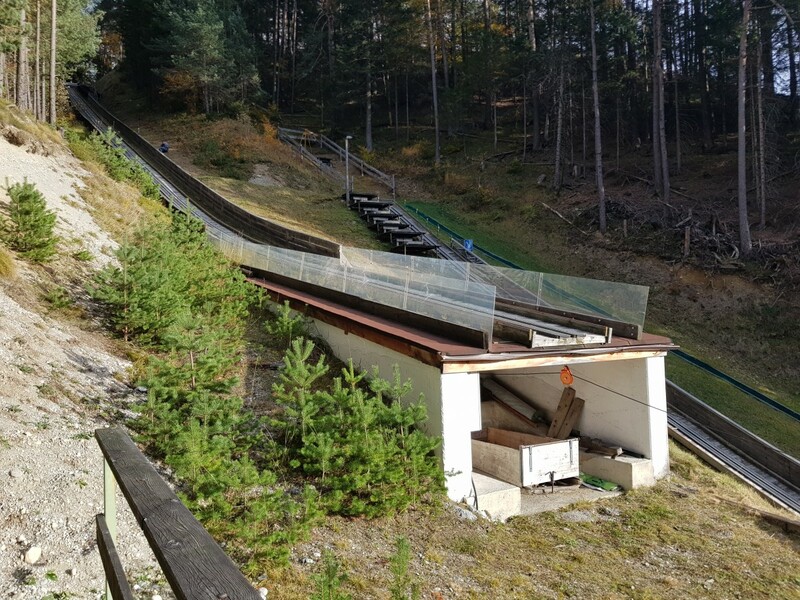 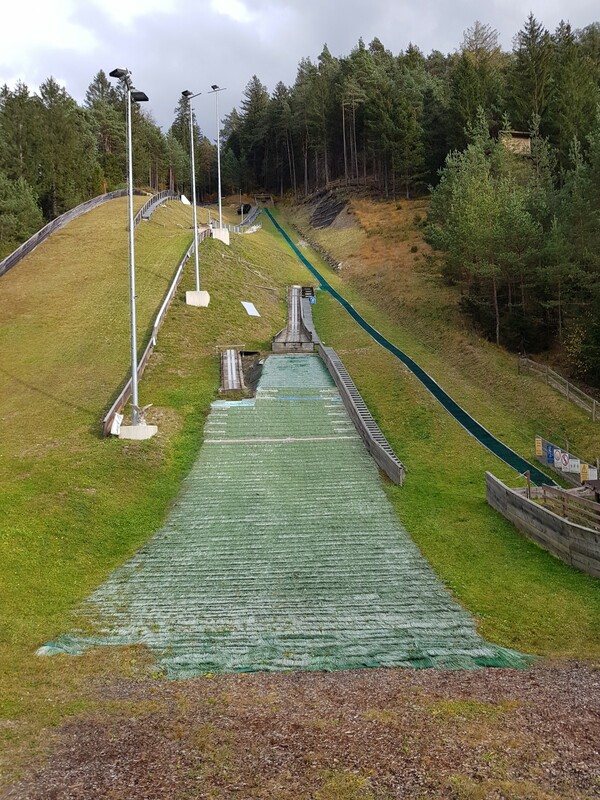 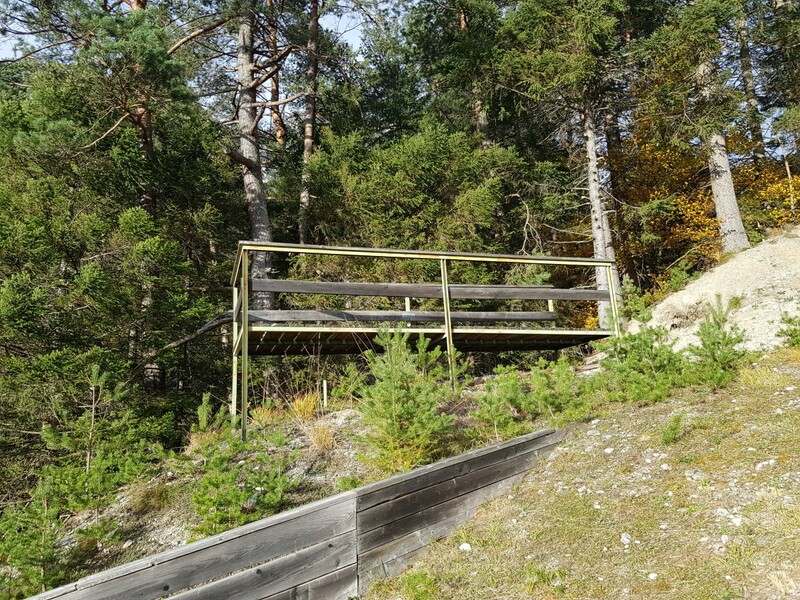 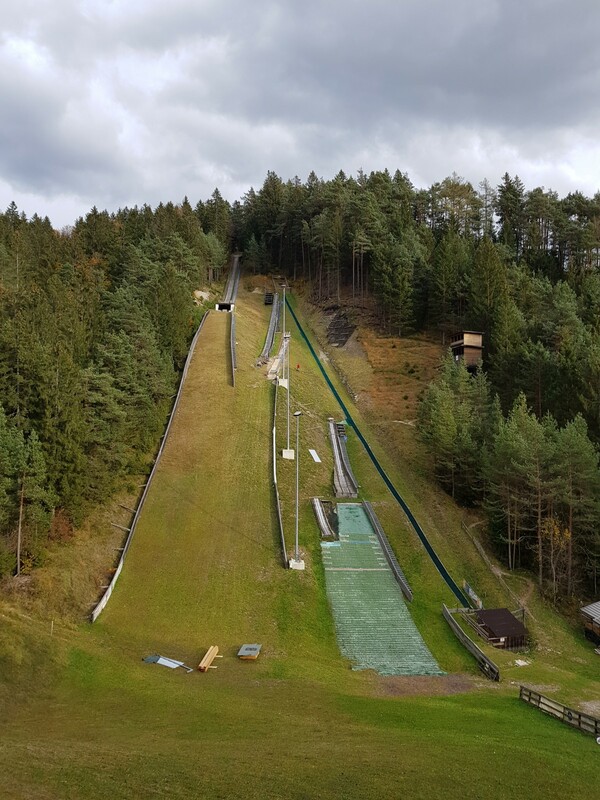 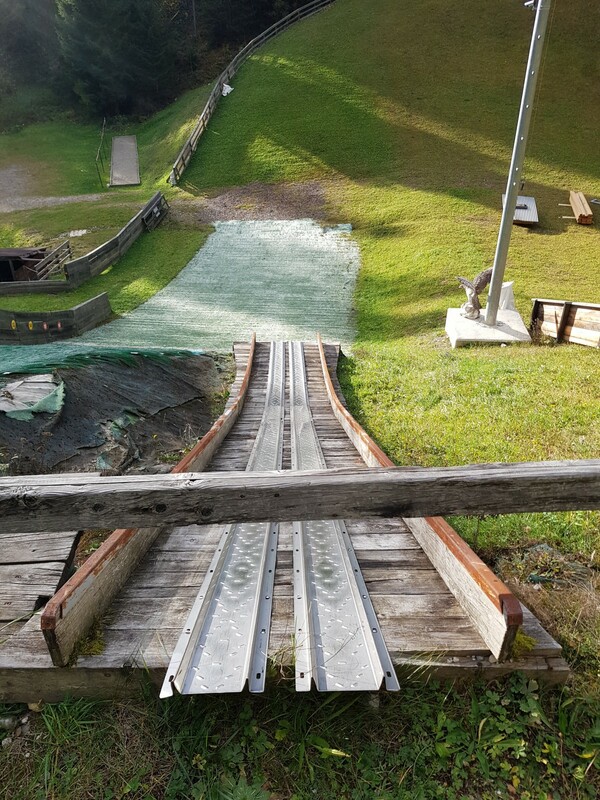 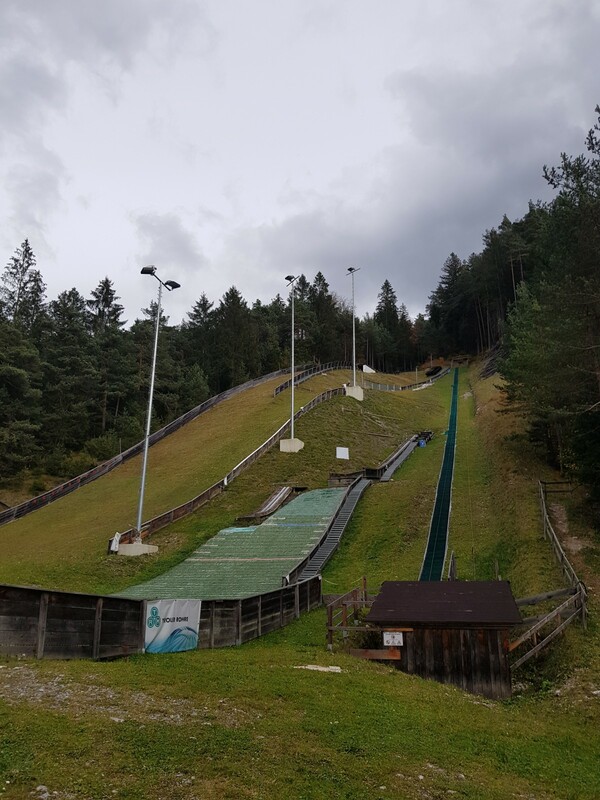 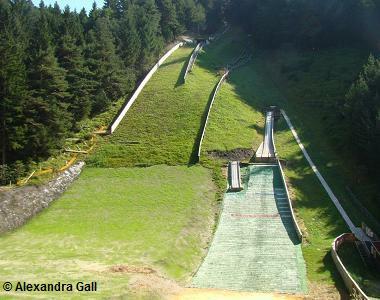 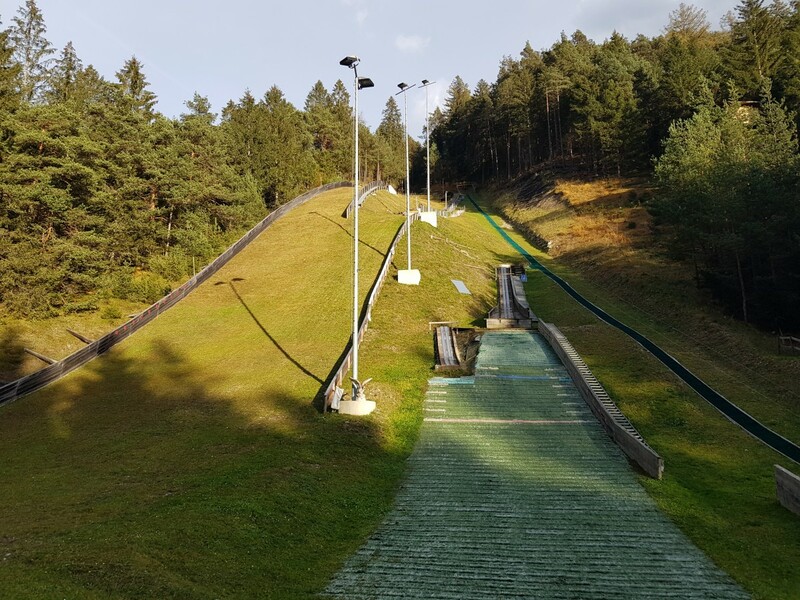 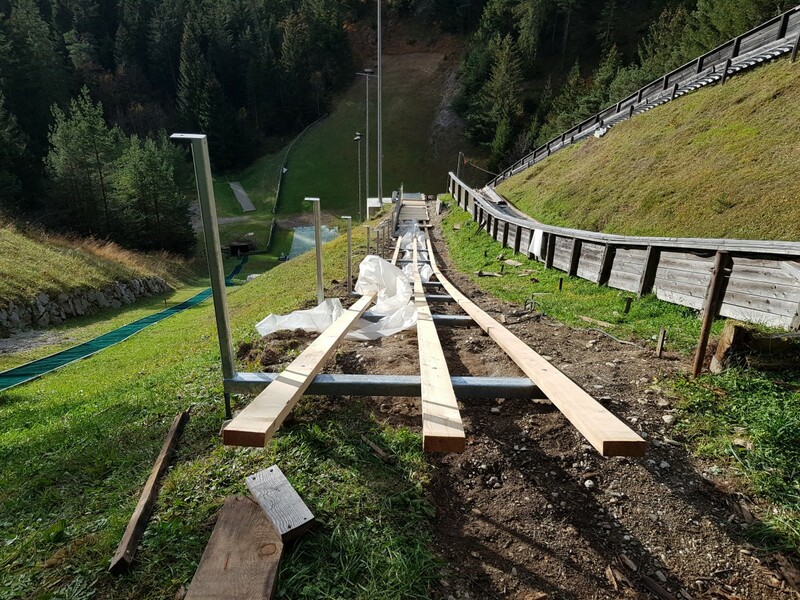 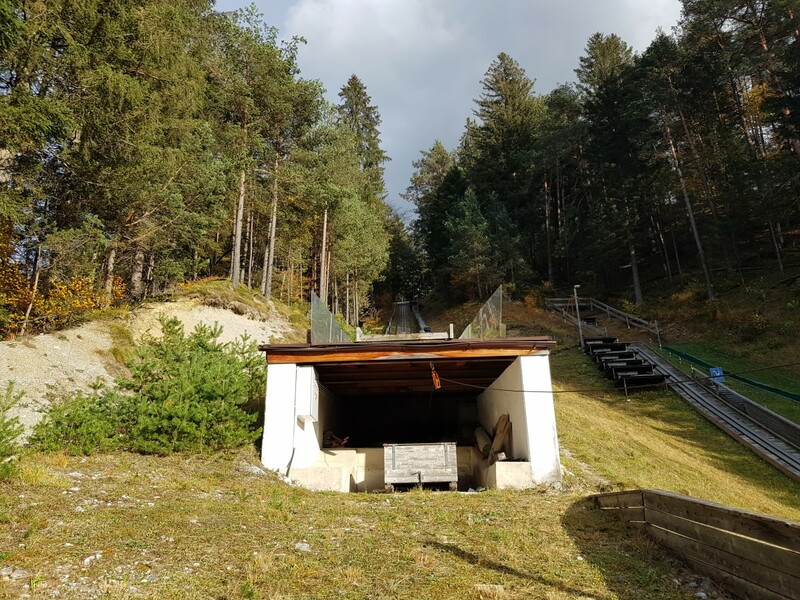 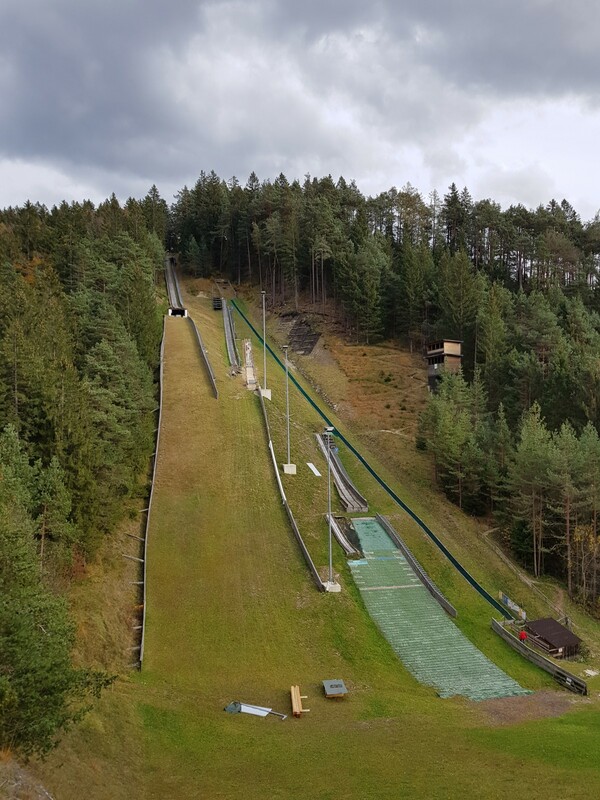 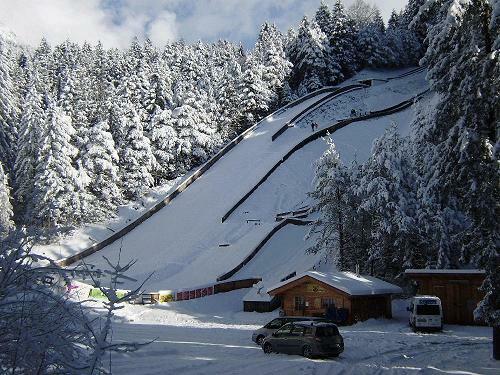 In 2006 another conversion project took place and K70 was enlarged into HS84 / K76 ski jumping hill now called FISU-Schanze. 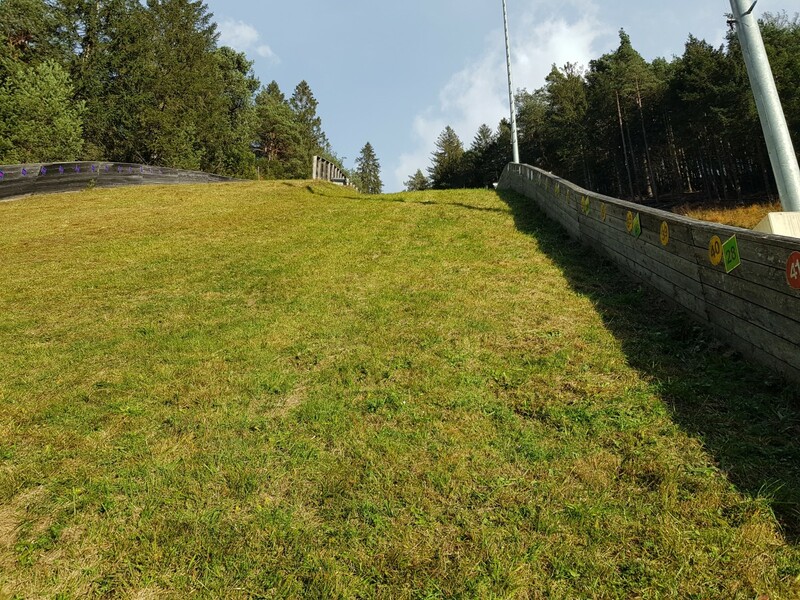 Due to problems with the landing hill profile the new K76 didn’t get homologated by the FIS and so the diggers had to work once again in August 2008. 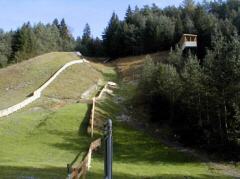 Now FISU- and Bettelwurf-Schanzen have K-Points of K63, K40, K25, K15 and K5.